The funding will enable extensions, refurbishments and improvements under the Aged Care Regional, Rural and Remote Infrastructure Grants scheme. 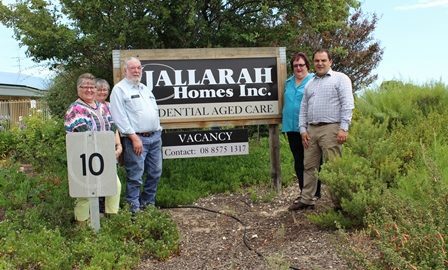 Jallarah Homes in Meningie will receive funding under the scheme. Jallarah Homes will receive $265,400 for infrastructure upgrades including refurbishment of 16 bathrooms and removal of kitchenette, supply and installation of bathroom fixtures and fittings, along with general plumbing and painting.